FACE MASK REVIEW. ELEMENTAL HERBOLOGY FACIAL GLOW. | Life Looks Perfect. FACE MASK REVIEW. 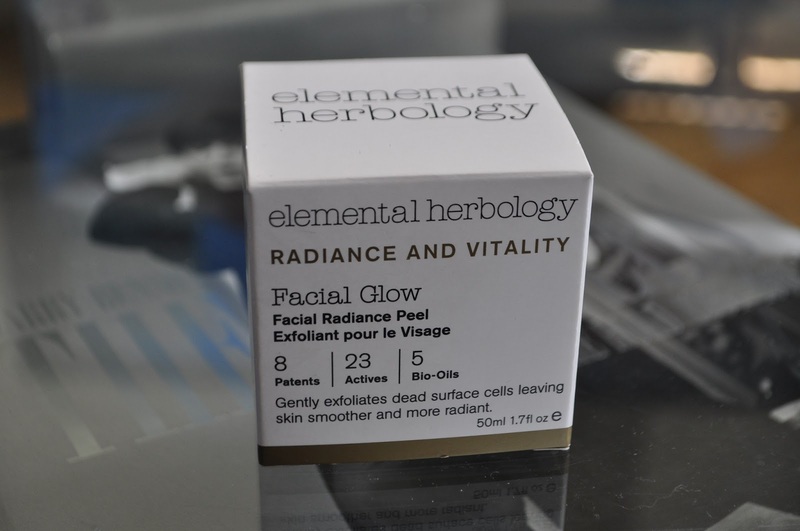 ELEMENTAL HERBOLOGY FACIAL GLOW. If you hadn't already guessed, I am partial to a good old pamper evening with a fabulous face mask and a relaxing bath. 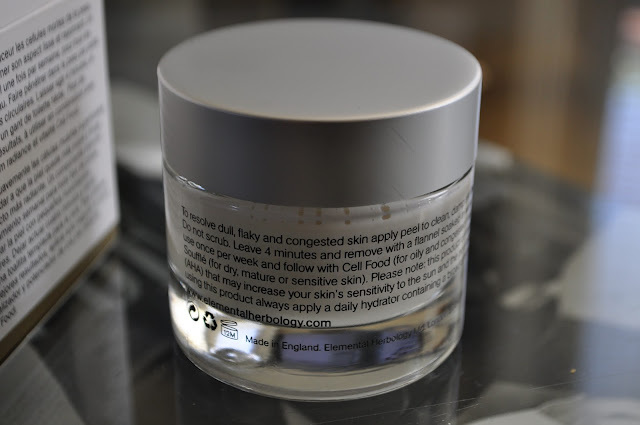 On my last visit to Space NK, I learnt all about the fantastic natural skincare brand Elemental Herbology. 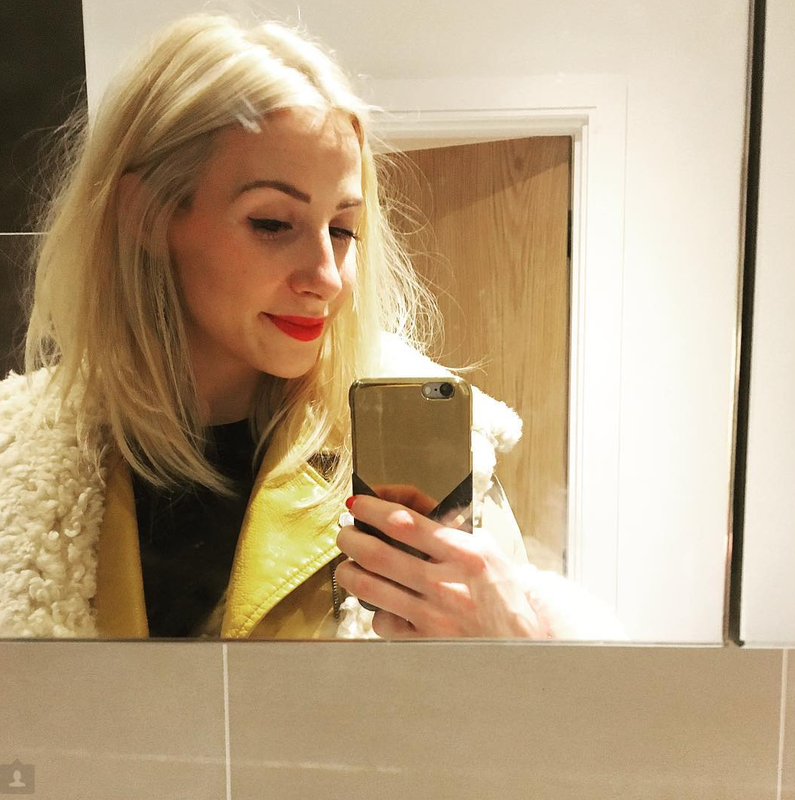 Founded by Kristy Cimesa, a specialist in holistic medicine and skincare, she wanted to produce a range of skincare products that helped to balance your skin against the elements and endorses both natural and scientific ingredients. 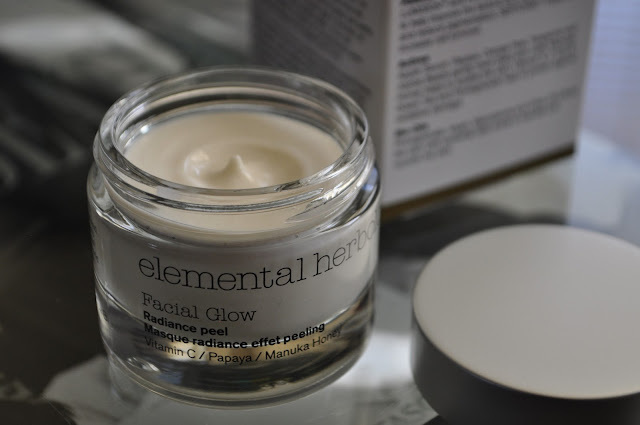 Meet Elemental Herbology's Facial Glow Radiance Peel. With an immediate zesty scent, this mask aims to lift away dead skin cells and help remove any dry skin. 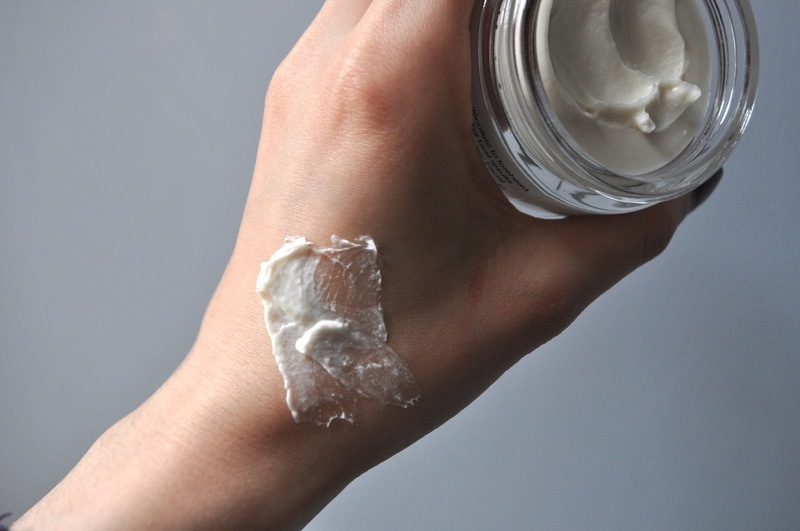 Its texture is a dense exfoliating cream, which helps to revitalise dull and congested skin. The mask feels light on the skin and isn't rough at all. The Jojoba exfoliating bead are very fine and shouldn't irritate the skin, as they are extremely gentle even when removing the mask. Sometimes, I can be a tad worried when I hear the word facial "peel" as I am always worried it will rip away layers of my skin! OK well maybe that is a little exaggerated but the thought of your face peeling can't be a good thing. Well you will be pleased to know that this Elemental Herbology facial radiance peel was amazing, not a burnt face in sight! With active ingredients such as zesty Orange Peel and Apple Serum, which help to brighten your complexion, the mask also contains the much loved Manuka Honey which helps soften and sooth the skin. Vitamins A, C and E help to protect your skin against any nasties in the atmosphere. As mentioned in the intro, Elemental Herbology have created their own scientific patents, which can only be found within their products that enhance the natural active ingredients. Three can be found in this radiance peel. They are Lumiskin, Kombuchka and Sepitonic, which are clinically proven to help reduce pigmentation, improve texture and increase cell growth. 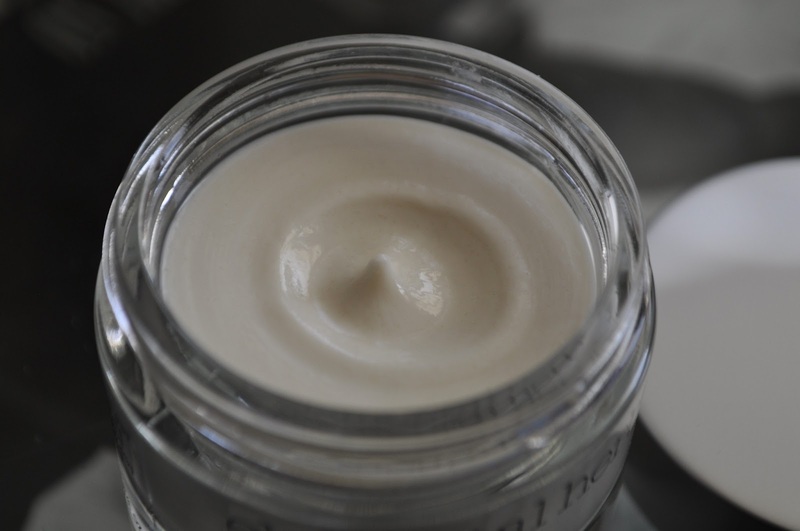 It finally contains a few bio-oils which help to nourish the skin giving it a silky smooth texture (as I am writing, I have just washed off the mask and stroking my extremely soft skin!!). All you have to do is apply a thin layer of the mask all over your face, avoiding your eye area and leave on for 4 minutes. Then you just softly wash the mask off using warm water and a muslin cloth, in gentle circular movements. After using this mask my skin was noticeably cleaner and radiant. Literally, I had a brand new face! I am now really trying to resist the urge to try a few more products from this brand and I will certainly be spreading the word about this fantastic radiance peel. Have you tried any Elemental Herbology's skincare products? Tweet me over on @Life_looks.